New York, Dec 12 (Just News): Akayed Ullah, the suspect in the subway terror attack, in custody later on Monday. The photograph was provided by a city employee. On the surface, Akayed Ullah seemed to be an ordinary member of a Bangladeshi enclave in Brooklyn. He often prayed at a mosque in an unassuming brownstone in the Kensington section of the borough, where a few thousand of his countrymen reside. Like many immigrants in New York, he made his living — at least for a while — driving for a car service. But on Monday morning, Mr. Ullah, 27, strapped a pipe bomb to his body and set out to detonate it in a Times Square subway station, the police said, not only causing chaos among crowds of commuters, but also leaving behind a trail of mystery that baffled those who knew him. According to several law enforcement officials, Mr. Ullah said he set off the bomb in retaliation for American airstrikes in Syria and elsewhere, targeting members of the Islamic State, or ISIS. He told investigators that he had been radicalized online and had made a number of trips overseas in the past five years, visiting Bangladesh in recent months, one of the officials said. Mr. Ullah admitted that he had looked up online how to build the bomb and had assembled it in his residence in Brooklyn, purchasing all of the materials except the pipe, which he said he found at a job site where he was working as an electrician at 39th Street and Eighth Avenue in Manhattan, two of the officials said. Real estate records show that Mr. Ullah lived in the Flatlands neighborhood in a small, two-story, brick-faced house. He and his family had been there for about seven years, said Alan Butrico, a businessman who owns the house next door. In the last few years, Mr. Butrico said, he had some unpleasant encounters with Mr. Ullah. They largely revolved around parking. On Sunday night, Mr. Butrico added, one of his tenants heard the sounds of “big fighting” coming from Mr. Ullah’s house, though it remained uncertain what the trouble might have been. On Monday morning, police officials, including some from the bomb squad, descended on the house, surrounding it in yellow crime-scene tape. 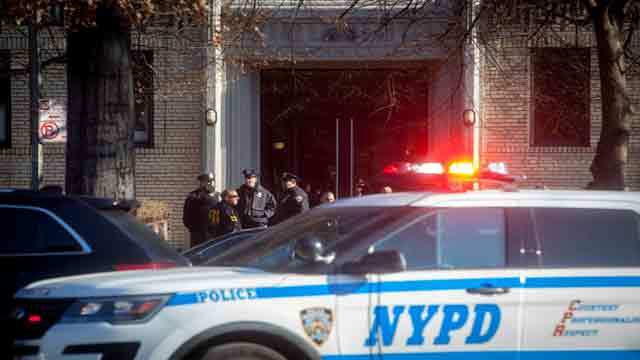 Officers and federal agents also appeared at another Brooklyn address associated with Mr. Ullah — a six-story beige brick building at 679 Ocean Parkway in Kensington. The Masjid Nur Al Islam mosque, which Mr. Ullah was said to have attended, sits on the corner of Church and Chester Avenues in Kensington. It was closed on Monday. One man, who has worshiped at the mosque for 15 years and gave his name only as Mohammad, said Mr. Ullah prayed there regularly, especially during Ramadan. Mr. Ullah, Mohammad said, was close to the mosque’s imam and was often seen with him at afternoon prayers. But Mr. Yousuf, the cabdriver, said he had not seen Mr. Ullah at the mosque in the past five or six months. From 2012 to 2015, Mr. Ullah held a license issued by the city to drive for-hire vehicles, city officials said. The officials were unable to say if Mr. Ullah had driven a yellow cab or for a private service like Lyft or Uber. It was also unclear, they said, if he had his own car or drove for an employer. Condemnations of the bombing did little to lessen the confusion in Mr. Ullah’s neighborhood.